This cable has been specifically designed for use with the E-Stim series 2 and 2B power boxes. Converting the dual channel isolated output to three points of non-isolated contact that combining the sensations both channels of output it produces an alomost 3D like electroplay experience. 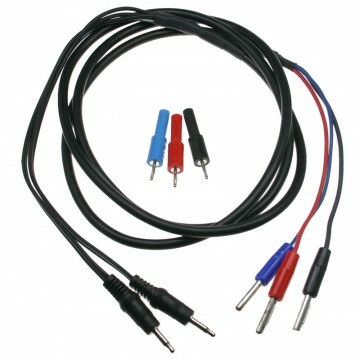 Supplied with both 2mm and 4mm adaptors that allow you to connect to the complete E-Stim electrode range. Comes with an E-Stim Systems 3 month guarantee.